I am beyond excited to host my up coming Seminar in Cork. 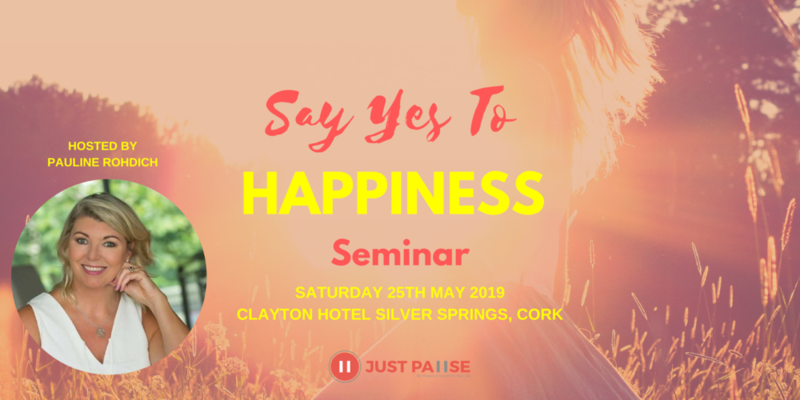 The 'Say YES to Happiness' seminar, based on the New York Times best selling book, Happy For No Reason by Marci Shimoff will take place in the Clayton Hotel Silver Springs, Tivoil, Cork on Saturday the 25th May 2019. A new definition for Happy. How to raise your Happiness set point. The Keys to cultivating Happiness in your life right now. How to create good Happiness Habits. A 7-step holistic programme to building your inner home for Happiness.